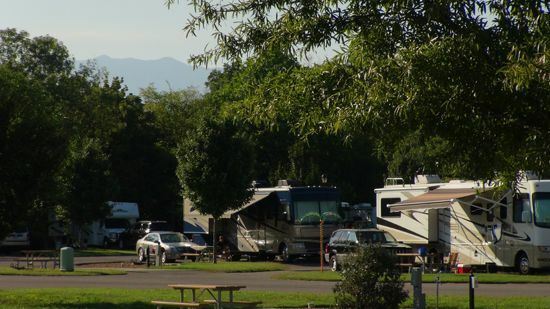 Pine Mountain RV Park by the Creek – A Beautiful, Cozy RV Park in Pigeon Forge! Spring is here in East Tennessee and with it brings renewal. What a great place to witness the rejuvenation of nature and the awakening of the towns surrounding the Great Smoky Mountains National Park. Actually, we never really went to sleep but we did slow down just a bit. Just enough to get ready to welcome you back to town as the temperatures begin to rise. 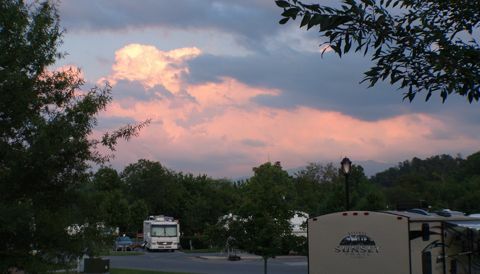 If you’re planning a spring retreat into the Smoky Mountains, cozy little Pine Mountain RV Park by the Creek provides a comfortable hub for all your explorations to begin. 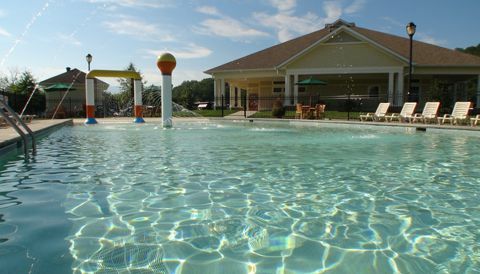 You’ll have the finest amenities to enjoy while you’re on property. 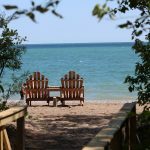 Beautiful accommodations, terrific staff and exciting things to see and do this spring are waiting for you. If you are repeat visitors, you probably already know this wonderful staff. If you are new to us, welcome! We look forward to meeting you and providing all of you a memorable place to stay. Family owned and operated, we work hard to offer you the best we have. We are working diligently to get the grounds ready for your spring visit with the planting of new flowers and the deep cleaning that comes with the new season. The Mainstay Suites across the street are owned by ourselves. We have accommodations for special events at our convention center on property. 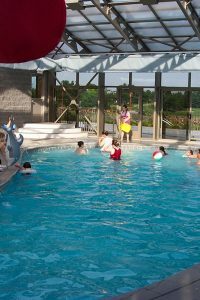 We also have additional pools, including indoor for cooler weather, available to you at our Mainstay Suites. Dolly Parton and her amusement park, Dollywood, are always bringing us great entertainment. Be sure to catch Dollywood’s music, dancing, arts and crafts. Titanic has a lot going on as well. They are honoring brides and nurses this spring, as well as hosting sleepovers and first-class dining. Be sure to visit their website to make your reservations for the events you’d like to attend. 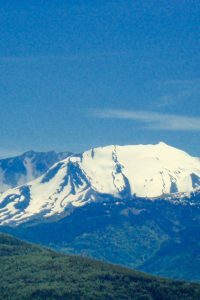 If you love nature, Wilderness Wildlife Week is May 8-12 and it’s free. There will be car shows, music festivals, beauty pageants and barbecues. Let us not forget to mention the mountains. Those majestic and beautiful Smoky Mountains. The hiking is always an adventure in spring. New flowers emerging, new fallen snow, and wildlife alive with excitement for the new season to begin. You just never know what you will encounter on a trail. Be sure to take a hike, big or small, and get in touch with nature while you’re here. It is a wonderful activity and it’s free. 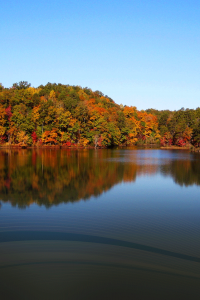 Give us a call (865-453-9994) or visit PinemountainRVPark.com if you are interested in learning more about the area and booking a vacation. 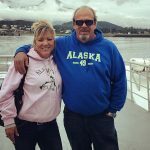 We will assist you in creating a wonderful getaway at Pine Mountain RV Park by the Creek.